The Command and Conquer 4 team has released a new single player video where designer Sam Bass takes you through the GDI mission highlights of "Transport Down." 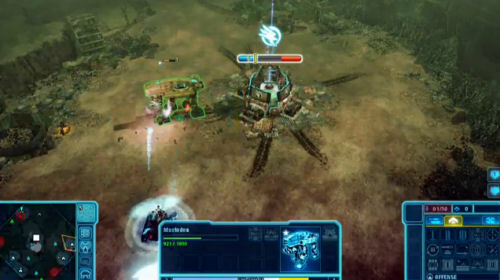 In the video we get to see some of the brand new mechanics of C&C 4 including the three class types of Offense, Defense and Support as well as a brand new capture mechanic that looks somewhat similar to Dawn of War 2's. We finally get a look at some of the new units in the game which you can play in two player co-op. I personally like the AT-AT looking guy that shoots lasers and rockets. BOOOM!